My family and I will be hitting the road this weekend for one last hurrah before we fall gracefully into the school year. And since road injuries are the leading cause of preventable death and injuries in children in the United States, Evenflo wanted to make sure that safety and comfort of older kids was being addressed. 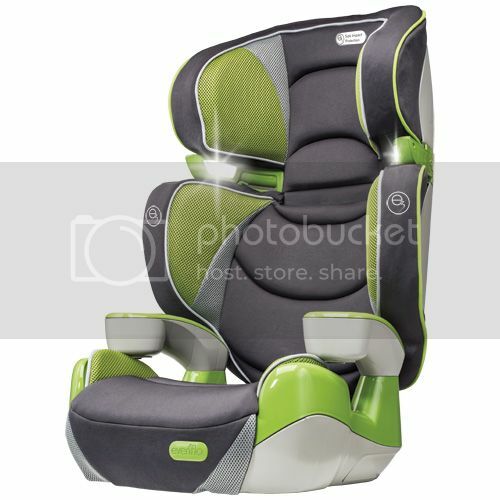 The Evenflo Right Fit Booster Car Seat offers a 2-in-1 design, allowing it to be used as a high-back booster, and then later on transforming to a backless booster. It has e3 foam integrated into the head and back to reduce side impact forces. Cosmetically, there are a variety of colors to choose from and the addition of 2 activity lights allow the child to read and play, even after dark. A correctly installed car seat can reduce the risk of death by 71%, so be sure to check out SafeKids.org for more helpful tips and info on children’s travel safety. Available for $89.99 at Toys r Us.com.